Build practical skills for a growing creative industry with this stand-out Diploma of Social Media Marketing (10118NAT) course. Time spend on social media has tripled in the last five years, and business are recognising that a strong social media presence isn’t optional anymore: it’s imperative. With this practical qualification, you’ll build the skills and knowledge required to stand out in the competitive and growing profession of social media management. A dynamic, flexible course taught by industry leaders in a self-paced online environment, this tailored qualification ensures you’re learning industry-approved skills and knowledge, and will graduate with an in-demand and relevant qualification. You’ll study marketing strategy, auditing and management, and graduate with the tools required to help businesses succeed. If you’re seeking creative work in a fast-paced, people-focused industry, this course could be your first step. 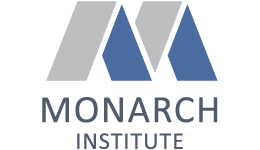 Upon successful completion of this course, you will receive a Diploma of Social Media Marketing (10118NAT) from Monarch Institute. This qualification will enable you to seek employment in the exciting and varied world of digital marketing. You may choose to work in social media or content marketing, in branding, in advertising, or as a marketing manager. This course may act as a pathway to further study and subjects may be credited towards university study. Pay $169.23 per week, paid over 26 weeks (total $4,400) with you Mastercard or Visa. Government funding is also available to residents of Victoria. Enquire now to find out if you're eligible.